It is monsoon time and my team is busy working on the plans for the next season. 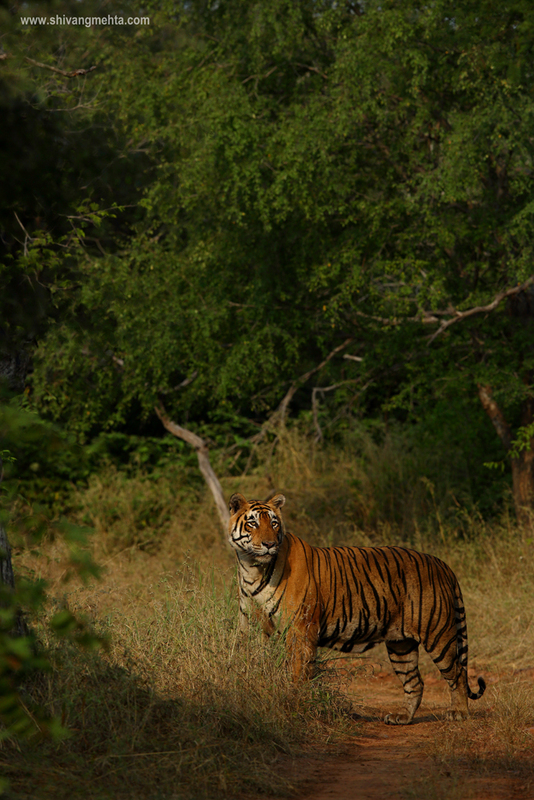 To start with we have already announced a few fresh photo safaris in tiger parks like Ranthambore & Bandhavgarh. The annual Ranthambore Opener schedule is up to enable you get a glimpse of the first stripes of the season in the lush green forest post the monsoon showers. With multiple breeding females in the tourism zone, Bandhavgarh would be in the thick of action through the new season and we kickstart our Bandhavgarh photo safaris with a winter schedule in December. Planning for a wildlife expedition in 2018 with a focus on wildlife photography? Migration photo safaris at prices like never before. Register before December 31, 2017 to avail the special early bird offer in order to be there for the biggest wildlife spectacle in the planet at Masai Mara in Aug-Sep 2018. 3 back-to-back photo tours with small batch sizes of 4 photographers per batch in unbeatable stay locations in the Mara. Are you willing to boost your tiger portfolio by maximising field time doing tiger photographic safaris this year? 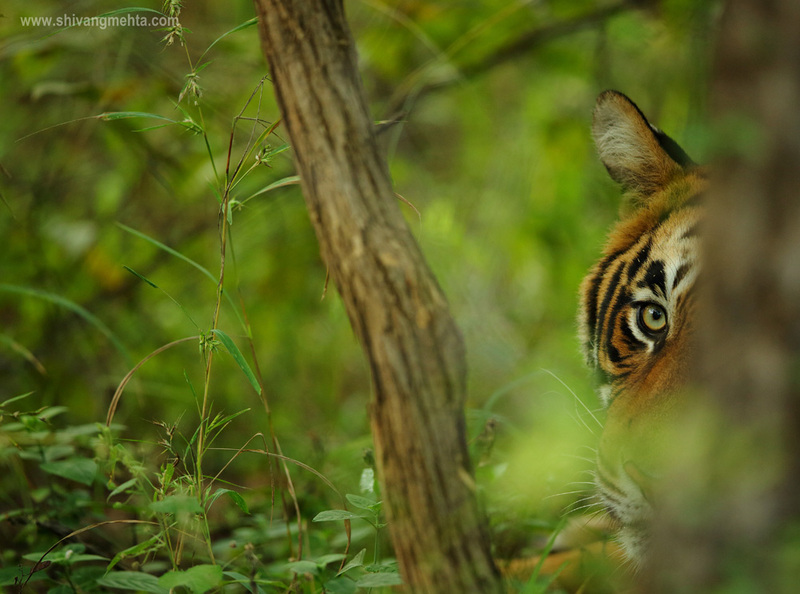 Be a part of Nature Wanderers annual Tiger Marathon photo tour series. Tiger Marathon is a back-to-back series of photo safaris where you can pick one tiger location or club multiple locations enabling you to customise your tiger safari schedules as per your convenience. Every year we at Nature Wanderers carefully analyse the tiger dynamics of various tiger hotspots of India in order to plan the popular Tiger Marathon series. A lot of factors go behind this planning and presence of tiger cubs is one of them. For Tiger Marathon 2018 our focus parks are Corbett National Park and Ranthambore National Park – 2 of the most prominent tiger habitats of India teaming with tiger cub action in the summers of 2018. You have experienced African destinations like Kenya and Tanzania with Nature Wanderers over the past decade and with that experience, you must be aware that Africa is the mecca of wildlife with loads of photographic opportunities. We have been asked questions by a lot of photographers like you on how to diversify your African portfolio beyond Masai Mara and Serengeti. We feel a key difference in images can be changing the backdrops and trials with new photographic techniques like usage of external light sources in order to bring about a uniqueness in your African portfolio. Join Shivang Mehta (Canon Photo Mentor) for this unique tour to experience the highlights of one of the most diverse photographic destinations in the world – Namibia. This tour offers some of the most breathtaking landscapes together with an unbelievable bird and wildlife spectacle. Expect some of the best photographic opportunities imaginable both day and night..! Shivang will be accompanied by BBC award winning photographers who have worked extensively in Namibia as their home turf to give you the opportunity to boost your portfolio of African images using techniques seldom used in Indian scenarios. A forest rejuvenated post the monsoon showers is full of mysteries that unfold vehicles start patrolling the park after the 3 months rain break which makes Indian forests inaccessible. The first week post the park opening for a new season is exciting and thrilling not because of the wildlife that you may or may not see (because of the dense vegetation) but the mysticism that surround the woods. The first 8 days of post monsoon action in Ranthambhore had a lot in store for me and my fellow photographers as we were the first ones to document 12 Sightings on 7 individual tigers, leopard, sloth bear. October 1st started with a bang with T19 – the reigning lady of the lakes – and T28 (Star Male) making appearances through the green gold of Ranthambhore. 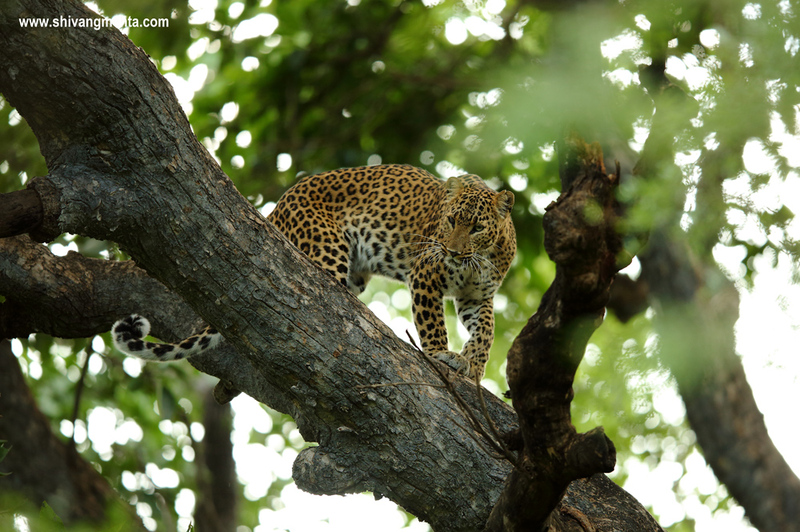 A leopard along with the mom-son duo of Noor (T39) and Sultan wrapped up the opening day. For the next few days the mother and son made a sambhar kill right on the fort road. Heavy rains though disrupted the sightings in between but not the spirits of photographers, as they still were able to capture some amazing landscapes. After a 3 day lull period, day 7 ended with 3 males in 1 drive in the form of T28, T19 male cub and T24. 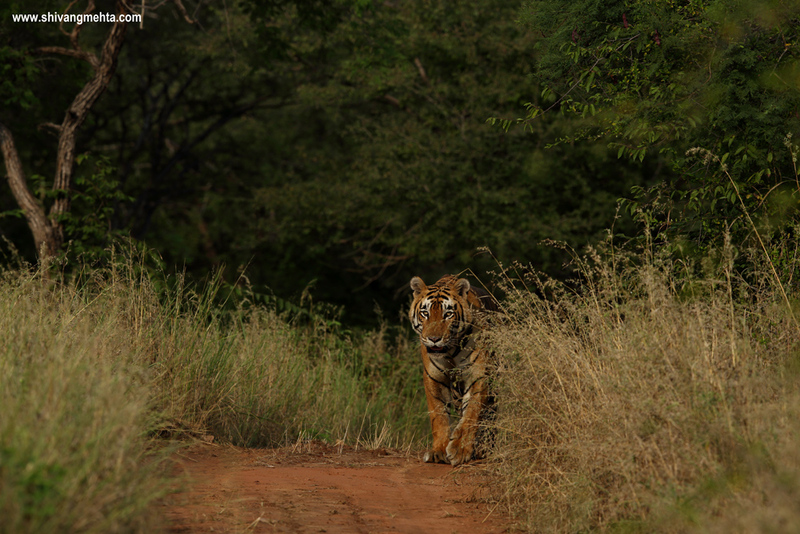 Ever promising Ranthambhore is geared up for a thrilling season this year.